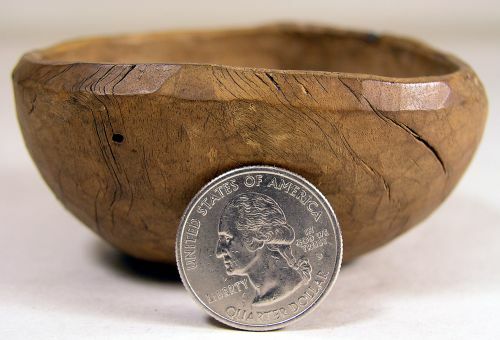 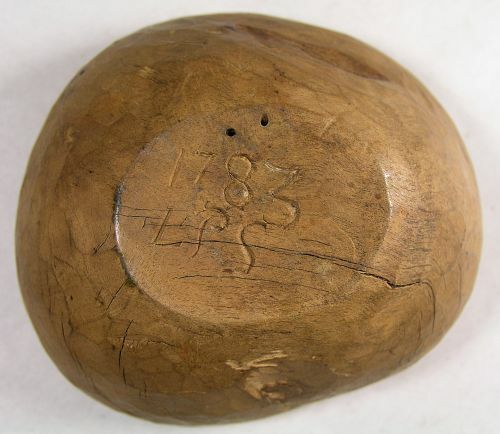 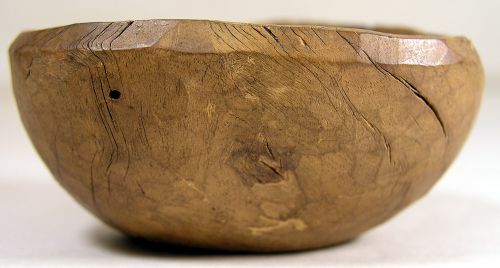 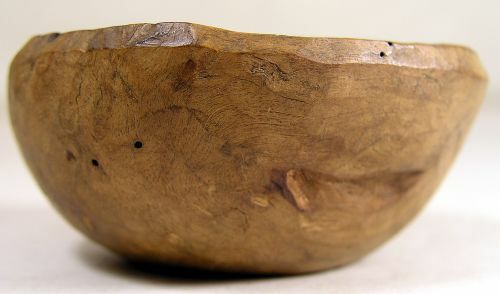 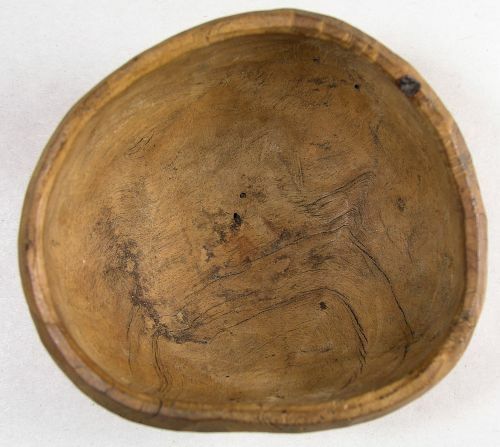 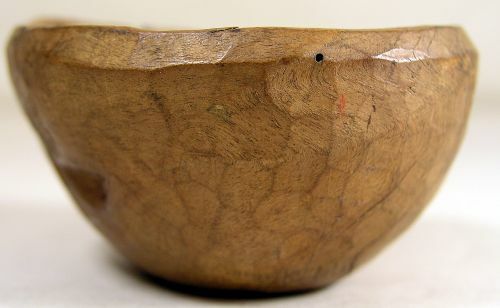 Miniature 18th Century hand carved wooden bowl or most likely a salt. 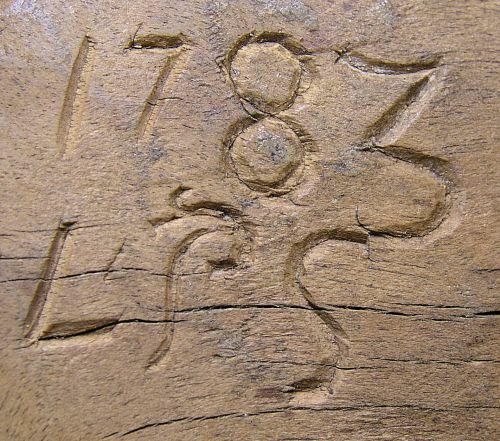 Appears to be Chestnut and is initialed LPS and dated 1783. 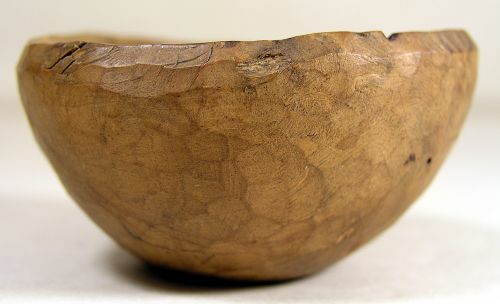 Very lightweight and has a nice old color.